Some of you reading this are aware that I suffered severe brain-damage to the back of my head when I was about 14 years old, but thanks to neuro-plasticity of the brain, my rear-brain hindsight was compensated with frontal-brain foresight, and I became a visionary at an early age, lecturing at Buckminster Fuller’s World Game Studies Workshop in 1974 and speaking to 10 agencies of Fed-Gov on Capitol Hill later that year. Having since developed 4 holistic health centers over 38 years, I’ve evolved from herbalist and nutritionist to holistic health practitioner and pioneer of quantum medicine. For the last several years I’ve been focusing on the next phase of the computer/Internet rEVOLUTION with Global TeLeComm and Global TeLeCare. 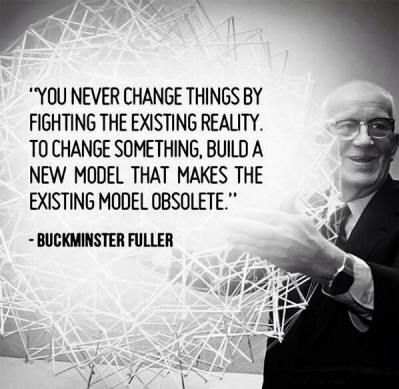 Those who can shift into pure visionary mode will see the future of these ‘TLC’ models – the Power of Love – at the heart of core Internet freedoms and systemic holistic healing in our all-connected social, political and economic institutions. 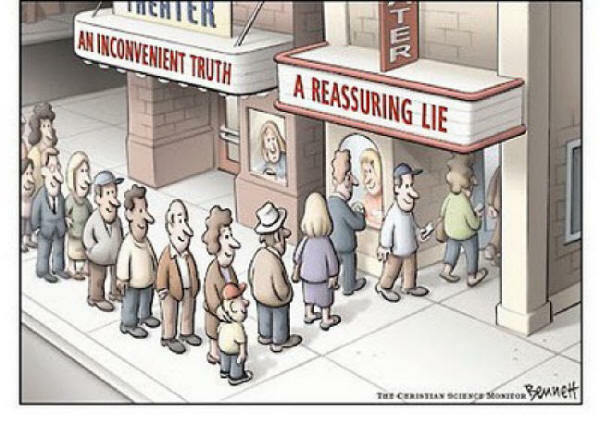 ailing 'public health' system in America obsolete. But is the public ready for the truth of this? The fakestream media sure won't report it. Their big sponsor is fake 'food' and drugs. Their fake news assures we are deceived. When a pound of cure is worth more than an ounce of prevention, the incentive of disease treatment for profit becomes worth more than prevention of disease. This is what happened in America over the last 50 years when the majority of hospitals - which were not for profit - were privatized for profit by the medical-industrial complex. The grand illusion is that we have a health care system. People want to believe that. We take our health for granted until we lose it, and then will pay anything to get it back. And that vulnerability has been exploited by both medical and insurance providers of the medical-industrial complex. Few Americans are aware that the medical industry is a monopoly that was bankrolled by America's first billionaire - Big Oil's John D. Rockefeller - who financed 1,100 medical schools across the U.S. with his "drugs-per-symptom medicine" (pharmacology) at the core of the curriculum... because Rocky owned the major drug companies - the origins of Big Pharma - and had his lobbyists write legislation that well-funded representatives made the law of the land - drugs-on-demand - as 'Community Standard Medicine'. According to a July 19th article by Mike Adams at NuturalNews.com, "The pharma-dominated health care system is a drug cartel monopoly enforced by a corrupt FDA and criminally-run federal government. The entire health care system as we know it today is little more than a government-coerced monopoly that criminalizes holistic medicine and natural medicinal interventions which are safer, cheaper and vastly more effective than chemical medications." war industries. They profit via disease and war. NOT for an optimal healthy life without disease. The U.S. health care system is the most expensive yet one of the least effective – 37th in public health metrics – among nations of the world. The #1 reason is drug-profiteering from cradle to grave. Mass drugging is a racket just as war is a racket. It begins at birth with a vaccine schedule in the 1st six months that is 3 times greater than their mothers received through high school. Watch this short video to see this major reason why "over half of U.S. kids suffer chronic disease and disability" for a life of drugging by Big Pharma. Vaccine deaths in the U.S. are only about 1% reported as explained by Robert Kennedy Jr. in this July 18th article. Prescription drugs are the third leading cause of death after heart disease and cancer. These drugs kill around 200,000 people in America every year, and half of these people die while doing what their doctors told them - a side-effect called "iatrogenocide" (death by doctor). The other half die because of errors, and it's often the doctors that make the errors because any drug may come with 20, 30 or 40 warnings, contraindications and precautions. There's a drug for every side-effect, so many elderly are walking pharmacies until they die prematurely. Are you aware that the recent Republican legislation attempt to reform Obamacare was largely written by medical industry lobbyists? industry that makes $15 billion a year". because disease care incentives dominate? is futile without a clear vision for healing it? the vision of free online holistic care for all? optimize one's holistic health potential. 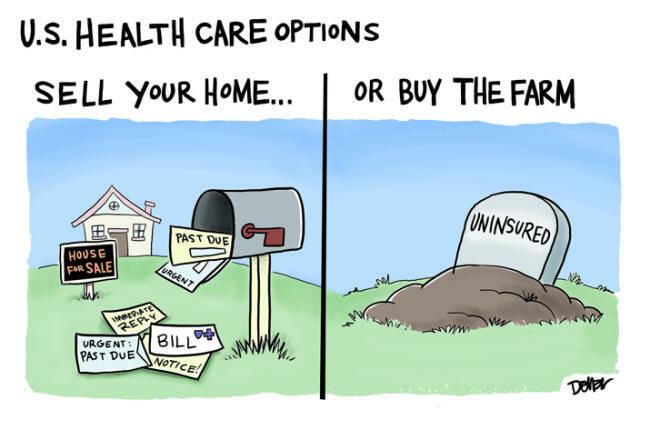 Imagine what health care will look like when a mobile UltraMedics ‘Doc in a Box’ comes to the door of your home or business to provide highly personalized choice of health assurance policies that build holistic health and prevent or manage any dis-ease condition. This UltraMedics service includes medical doctors and holistic health practitioners who are certified in the UltraMedics modality of well-informed choice – no prescribing. This is a process of navigating ‘clients’ – not ‘patients’ – through the Global TeLeCare database that shows which health optimization protocols provide the most promising evidence of good results considering one’s unique metabolic type, symptom profile, and health budget. The UltraMedics mobile unit will provide an Uber-like app for scheduling a visit with advanced on-board diagnostics that provide in-depth, non-invasive health analysis for customizing the most obvious options for optimal health. This self-evident process for navigating highly personalized self care includes the same advanced database infomatics used with free online Global TeLeCare - the core global database of research on results for different healing protocols for unique health conditions. That self-care service - available on your smartphone - will be integrated with the UltraMedics database... your TeLeCare app for holistic self-care. The advantage with advanced UltraMedics biometrics is better qualification of one’s health condition with a certified and experienced TeLeCare Navigator of the UltraMedics database that ‘learns’ – as results accumulate - which affordable modalities best match your holistic health topology and budget for the best results. Mobile UltraMedics units thus provide health assurance policies for small businesses who often can’t afford losing their key people to sickness. In-house units for large corporate campuses can also provide personalized self-insurance for thousands of employees… or mid-sized corporations could include this service as a performance bonus, with ‘health retreats’ to an UltraMedics-certified and equipped health resort. Most American are now aware that Obama’s ‘Affordable Care Act’ was sold with the ‘public option’ - choice of care – that was quickly betrayed by limiting choice to monopoly medicine via insurance companies and “allopathic” (drugs-per-symptom) medicine. 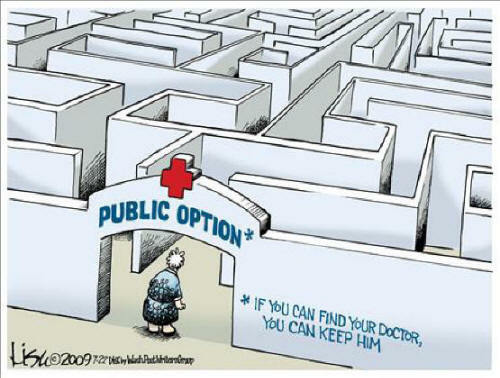 That pathological paradigm paralysis will only be healed when the ‘public option’ is honored with transparent sovereign health care choices of a well-informed nature. Since the number one cost of doing business in corporate America is ‘health care benefits’, the health assurance policies provided by UltraMedics is self-insurance that dramatically reduces or eliminates the cost of 3rd party middlemen who provide the ‘gamble’ called ‘health insurance’ whereby they’re betting you won’t need it, you’re betting you will, but the ‘gambling house’ in this case always wins, profiting from disease treatment or its denial – not disease prevention. Most holistic health care professionals who have been in this field for decades, as I have, are well-aware that we don’t have a public health care system in America. The system is about 97% disease care – almost wholly devoted to the privatized profits of giant corporate interests that – by corporate law – put stockholders before the public when profits are at stake. All the big money is in the creation and management of disease for profit – NOT the non-profit prevention of disease. 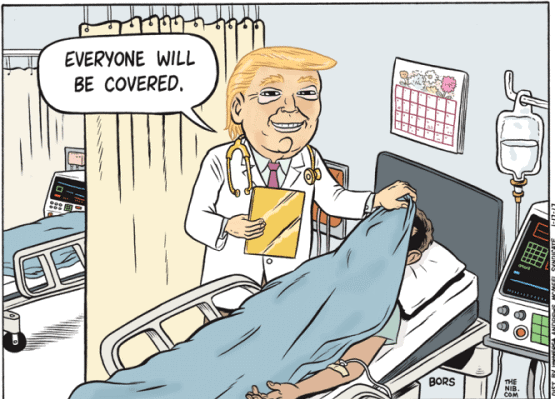 People in America are mad over health care because they are scared of what will happen to them. Both political parties have sold out to the medical-industrial complex. Watch the short video clip HERE to see a politician tell us it's all about "politics" (who profits), yet provides no solution to this admitted ethical breach. Then consider that self-funding Global TeLeCare could be online in less time than it took to set up Obama's Affordable Care Act online. But in this case, the whole world will benefit from free-online self care. It's a rapidly scaleable model like Facebook. Investors welcome. Exec. Summary HERE. Meanwhile, the corrupt self-serving disease care system is in self-destruct mode - it is virtually killing us with millions of American dying prematurely every year. The revolving door between Big Pharma execs and the FDA has long been established to show how this Food & Drug Administration runs interference for genertically engineered agribusiness and chemical-laced frankenfoods that make us sick, and then provide a protection racket for drug companies who treat whatever ails you. Without going into the collusion of Big Media with Big Pharma and Big Insurance for their mutual profit, suffice to say that our health care system is very ill.
and it is definitely NOT sustainable financially. Article with video at Natural News HERE. In this 7 min video, Health Ranger Mike Adams once again nails the problem of mismatched social expectations over health care. But by focusing on the problem – with no comprehensive vision of the solution – such reporting has the side-effect of social anxiety and fear-based anger. Mike means well, and he humorously dispels the illusion of ‘Universal Health Care’ that is NOT ‘universal’ and is based on ‘disease care’ – not ‘health care’. This perception deception is like the ‘Federal Reserve Bank’ which is not ‘federal’ and has no ‘reserves’ as clearly explained in this recent 3 minute video. But I digress. that makes disease care obsolete. Free Universal Health Care For All? No cosmetic retrofit of the corrupt disease care paradigm we call ‘health care’ will make it affordable or healthy. It requires a wholly new paradigm of health sovereignty – personal self care choice – with well informed options for the public at large. So seize the vision of Global TeLeCare for a healthy global future whereby the health of billions of global Netizens can thrive. Connect with the vision of how it works. Network freely – care to share with TLC. Support TLC progress: Heartware Project.